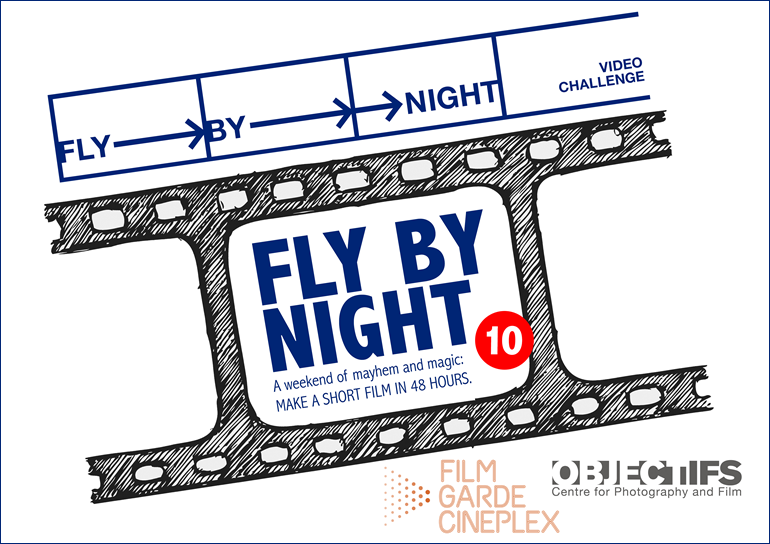 This year marks the 10th year of the annual 'Fly By Night' video challenge organised by Objectifs Centre of Photography and Film as well as Film Garde Complex. 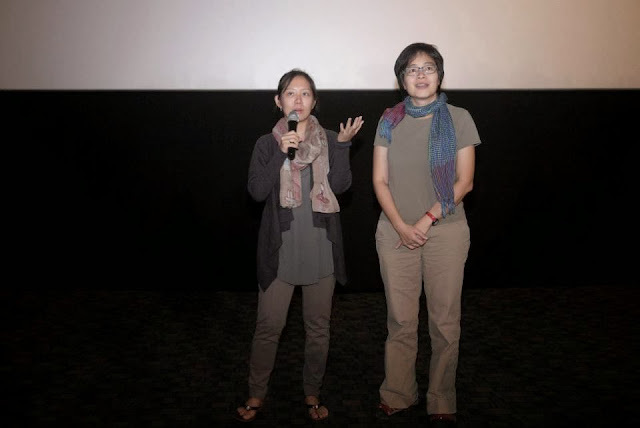 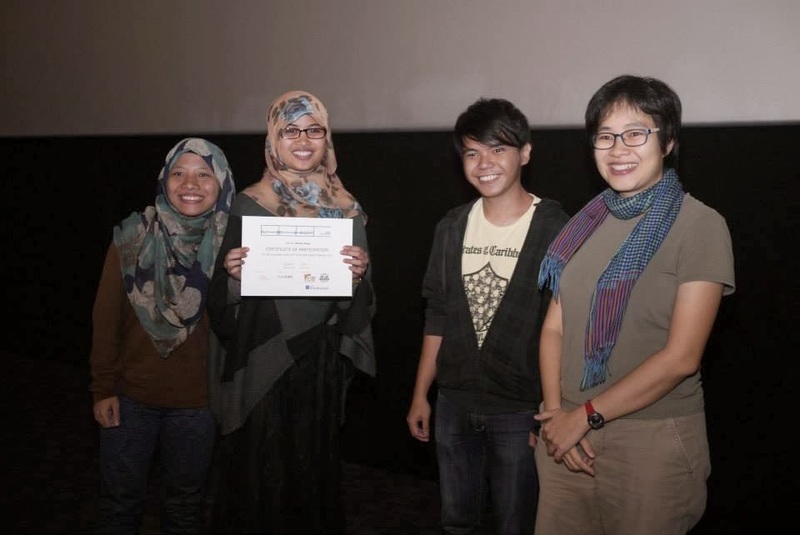 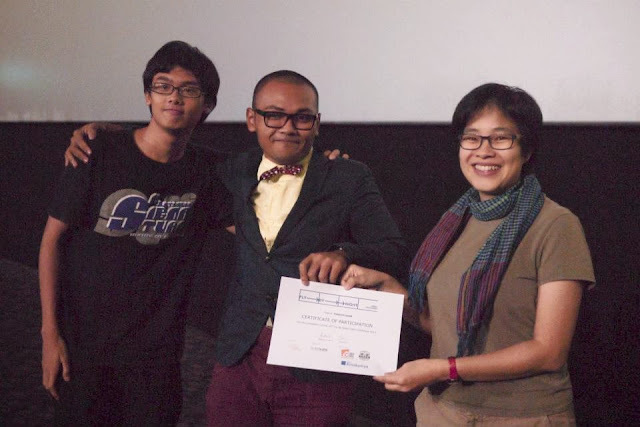 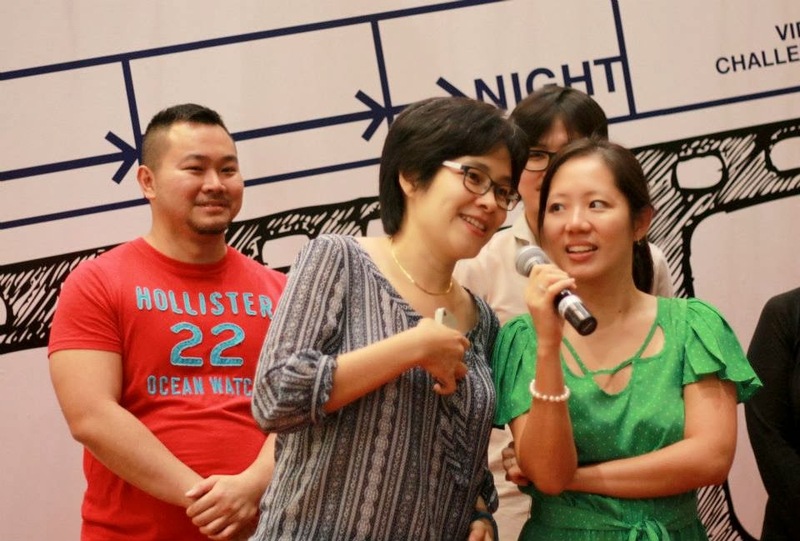 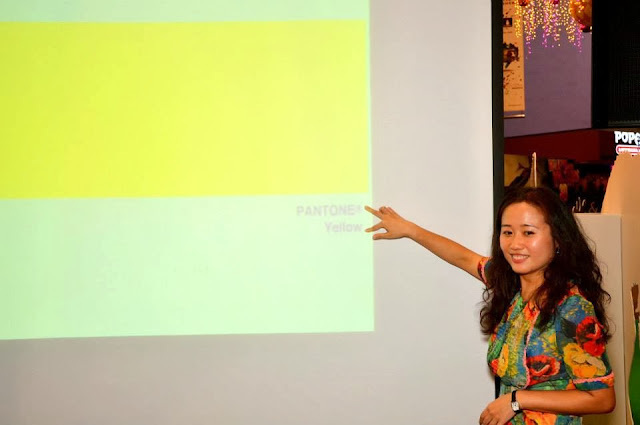 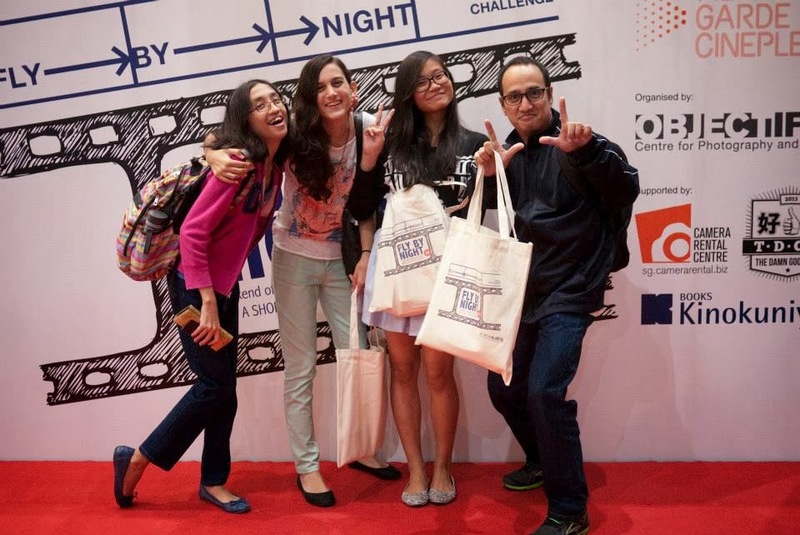 Fly By Night was founded by filmmaker Tan Pin Pin and film curator/producer Yuni Hadi to give people a chance to make short movies in short form and enjoy the process of doing it. The competition has spawned filmmaking interest over the last 10 years and has been an important fixture in the film calendar. 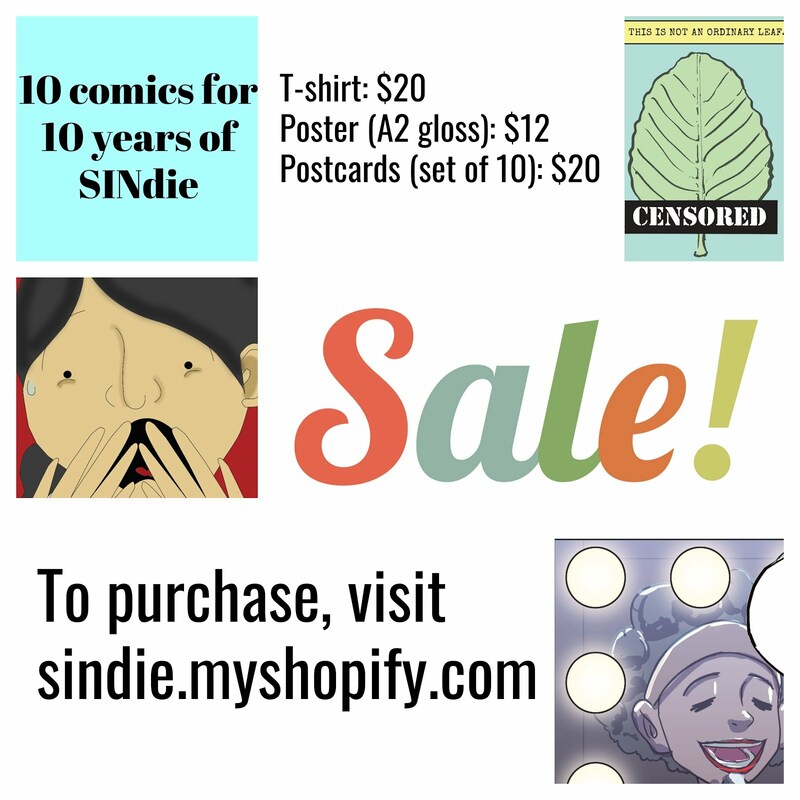 SINdie's editor Jeremy Sing (who's a judge for this year's 'Fly By Night') gives you one final glimpse of this 2-day journey. Let us guess. 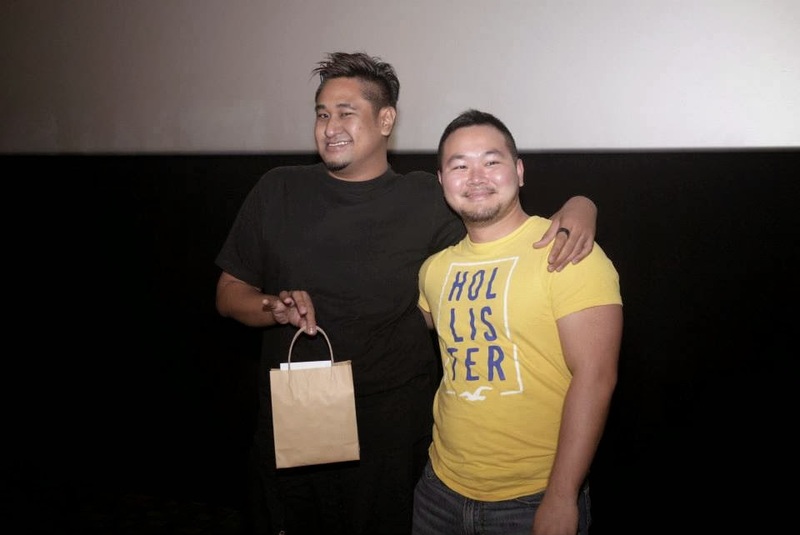 He is the cinematograhper. The girl next to him is the actress. 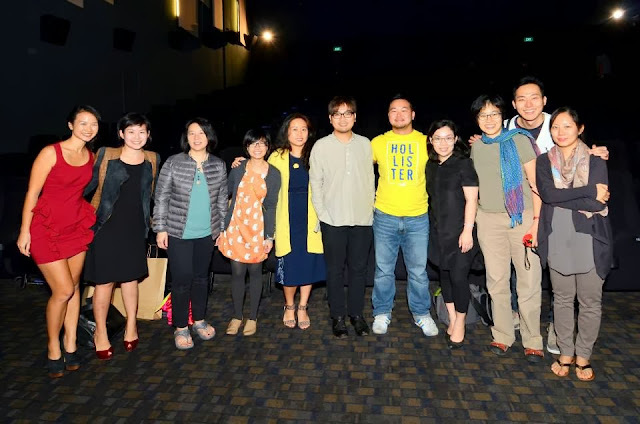 And the directorial and producing roles are split between the next two. 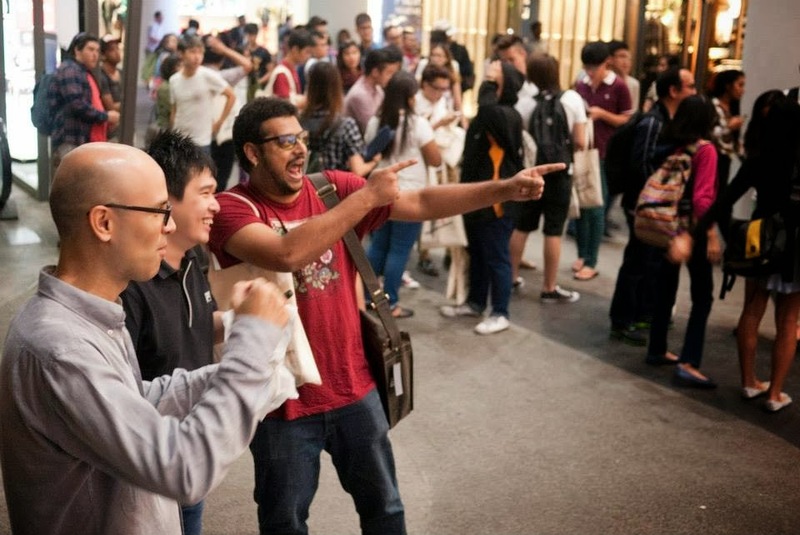 Three men and a blonde. Tan Pin Pin,'Our 'Fly By Night' will forever be on someone's heart.'. He tattooed it there. 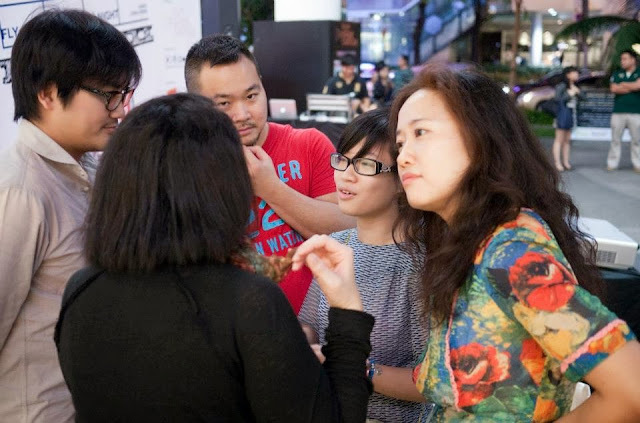 Judges (from left: Liao Jiekai, Jeremy Sing (in red), Teresa Kwong (floral blouse) and Maggie Lee (back facing camera)) crack their heads over how to announce the theme with some pizzazz. 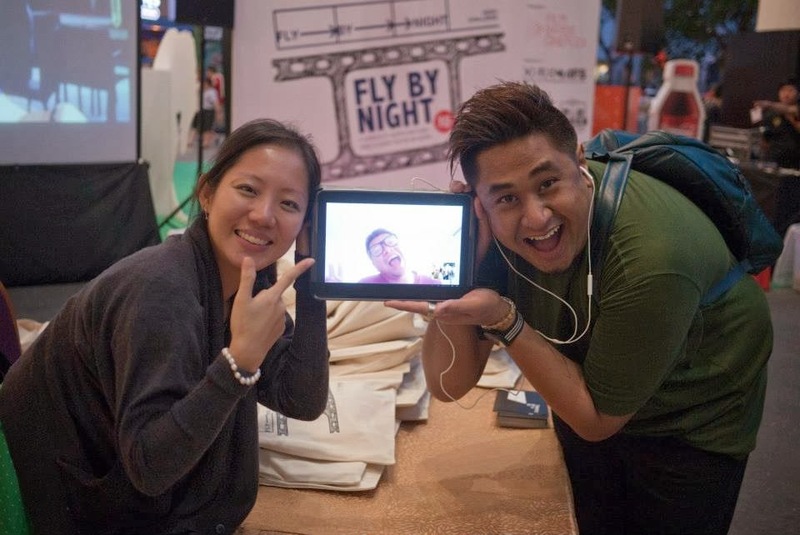 'Fly By Night' withdrawal symptoms are starting to kick in, 'Fly By Night' founders Yuni Hadi and Tan Pin Pin start feeling cold. 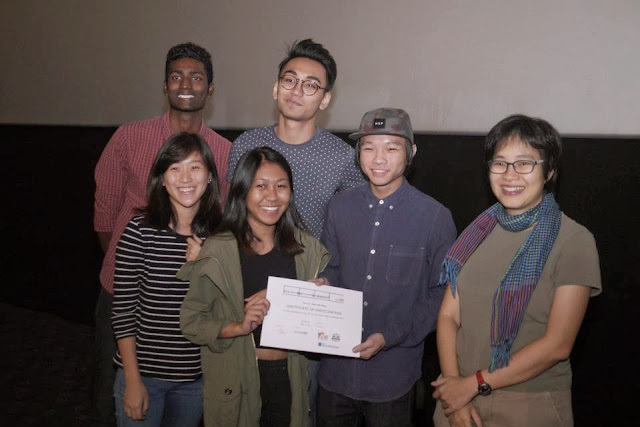 Congratulations to all our winners and thank you to all participants! 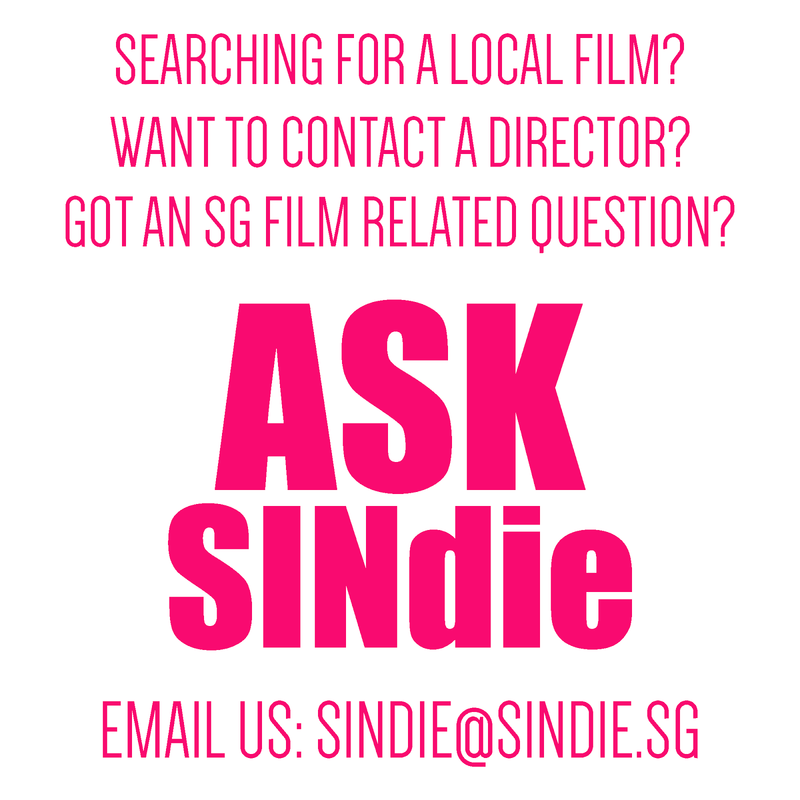 So long and keep making short films on weekends if you have time!